Binge eating may contribute to the prevalence of obesity in African-American women. Yet, there has been scant intervention research on the treatment of binge eating in this population. We tested the feasibility of an appetite awareness training (AAT) intervention in a sample of African-American women with binge and overeating behaviors. Participants who completed AAT were recruited to participate in focus groups to elicit information about their perceptions and experiences with this intervention to inform the design of future interventions to treat binge eating and obesity in African-American women. African-American women, aged 18-70 years, who had completed an 8-week randomized AAT intervention, were invited to attend a focus group discussion. Session content was recorded and transcribed. Data were analyzed by use of open coding. Themes were identified that described their perceptions and experiences of participating in the intervention. Seventeen women participated in three focus group discussions. 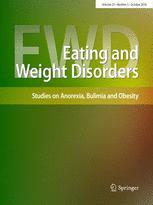 Pertinent themes identified included: paying attention to internal cues of hunger and satiety, influence of culture on eating patterns, breaking patterns of disordered eating, and perceptions about weight. Overall, participants were satisfied with their experience of AAT, and reported they found it valuable to learn about listening to biological signals of hunger and satiety and to learn specific strategies to reduce maladaptive eating patterns. AAT was acceptable and provided helpful eating behavior instruction to African-American women with reported binge and overeating behaviors. Future research should examine the potential of AAT to improve weight management in this underserved population.